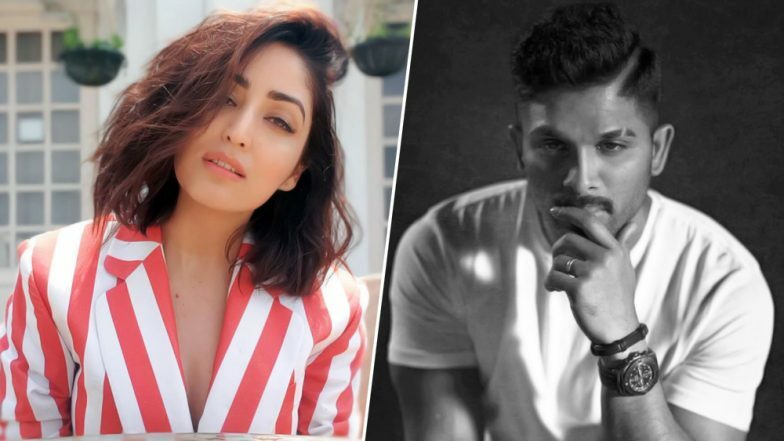 Yami Gautam is fresh out of the success of the Uri: The Surgical Strike film that had Vicky Kaushal starrer film. The actress won good reviews from the critics for her crisp role in the flick. Now, her fans are curious about her next venture and one fan asked her thoughts on her favourite Telugu star. Of course, there was no confusion over it as she instantly replied "Allu Arjun". 4 Films of Allu Arjun That Should Not Be Missed, Watch The Full Movies Here!. She was in a chat with her Twitter fans in a #AskYami session. The fans were excited to be a part of this and asked her about her professional as well as personal likes and dislikes. Now, when she mentioned Allu Arjun, the fans were over the moon. They have already started daydreaming about a film that will feature them together. Not a bad idea, right? Not just this, she even spoke about her childhood crush. This too was not a mystery to crack as she simply named the person. It was Hollywood hottie, Ben Affleck! Something that is so much predictable! Over a year or two, the fans are witnessing a handful of Bollywood-South movies crossovers. Many south stars are keen on experimenting with the Hindi film industry space while the Bollywood actors are trying their luc\k down south. Nawazuddin Siddiqui (Petta), Vidya Balan (NTR Biopic), Shraddha Kapoor (Saaho) are some of the examples. Wouldn't it be nice to watch Yami and Allu Arjun together in some film? Tell us your thoughts below.